[V Report Plus] Did Ryu Jun-yeol hint at his feelings on Hyeri on V app? Ryu Jun-yeol confirmed Wednesday the romantic relationship with his “Reply 1988” co-star Hyeri. After the news, the actor’s past remarks on the singer-actress resurfaced. 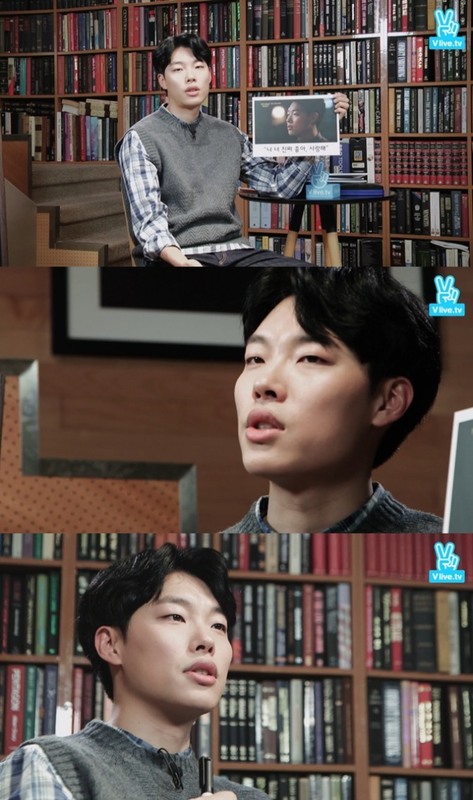 In a live broadcast titled “Reply Ryu Jun-yeol” held after the end of the drama, Ryu said, “I thought the confession scene was the end of the drama. It was so (emotionally) tough when I knew that I wouldn’t be her husband (in the drama).” In the 18th episode, Jung-hwan (played by Ryu) finally confesses his feelings to Duk-sun (played by Hyeri) for the first and the last time but soon says it was a joke.